← MCW is 60 today. Happy Father’s Day William E. Wynne Sr.
Friends of ours know that I refer to my father as “The Real William Wynne.” Below are a few notes and photos from the family album. Grace and I both hope that this Father’s Day finds each of you in the company of family and friends, taking a few moments to consider the most important men in our lives. 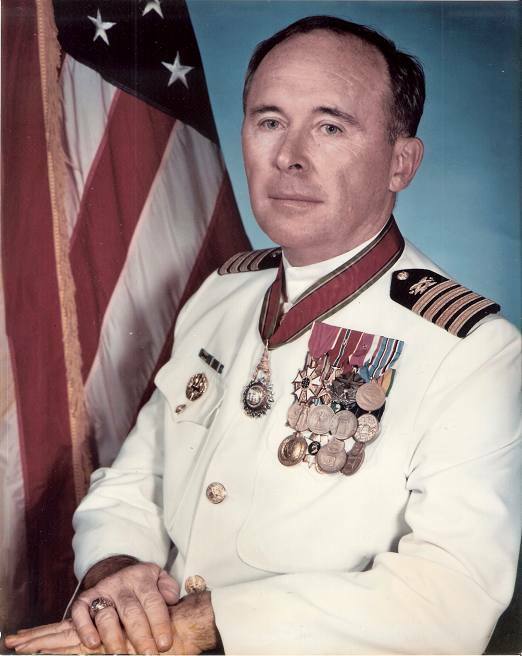 Above, my father’s official USN photo circa 1975. My father enlisted in the Navy during World War II, graduated from the Naval Academy with the Class of 1949, served in both Korea and Vietnam, and in the final total, spent 33 years on active duty. His service remains the centerpiece of his life’s work. 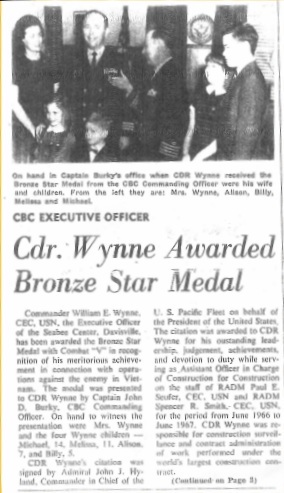 Please take a minute to read: William Edward Wynne Sr. – Father’s Day Notes; it is a story I wrote about father on his 84th birthday. If you have ever wondered why I am intolerant of police states without human rights like China, the story will be illuminating. In this photo, my father is 50 years old, the same age as I am today. 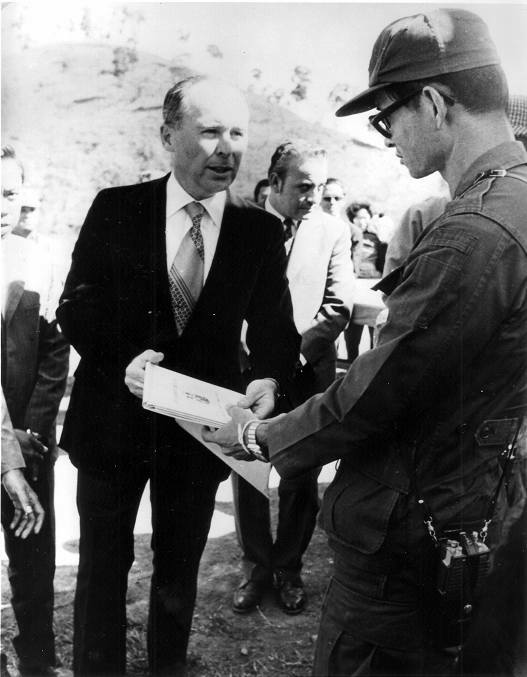 Above, my father speaking with HRH, the King of Thailand, in 1974. Thailand is a constitutional monarchy like England, but the Thais hold the deepest reverent respect for their royal family. The King is the longest serving ruler in the world, and is widely understood as a very positive force in a part of the world that knew very little peace or freedom. He was educated in the United States and knew that his country was on the front lines of the Cold War. The location of the photo was a construction site on Doi Inthanon, the tallest mountain in SE Asia. From 1971-74, my father was the OICC (Officer in Charge of Construction) in Thailand. This included numerous military and civilian infrastructure projects in Thailand, Laos and Cambodia, and places as distant as Diego Garcia. My father worked equally hard on building hospitals and roads as he did building airbases. While all of Thailand’s neighbors, Burma, Laos, Cambodia and Vietnam, fell into savage rule by communist totalitarian regimes that ran from repressive police states to genocide, the Thai people were spared this trip to hell. My father remains very proud of the role he played in preventing their enslavement. As a show of respect for our Thai hosts, we lived in a typical Thai home, went to regular schools, learned the language, ate the food and always were deeply respectful of the people, customs and beliefs of our host nation. My father drilled into us that any shortcoming on our part would be tantamount to sabotaging the work that he and many other Americans were doing to ensure excellent relations between the two countries. Today, 42 years later, I have no patience for any American who goes abroad and forgets what the word “guest” means. At the conclusion of our time there, the Thai Secretary of Defense presented the Order of the White Elephant to my father. It is the medal on the ribbon around his neck in his official photo above. Above, a fuzzy 1968 newspaper clipping of my father upon his return from Vietnam. At the far right is my brother Michael. Last week I told the story of Michael turning 60. I have said many times that if my father had not returned, my life would have amounted to very little. I spend a part of every Father’s Day thinking of all of the sons who were not so lucky. I will always remain thankful for this blessing. The photo above was taken by the U.S. Navy in early 1968, at the same time as the one above. In my 5-year-old hand, I hold the Bronze Star awarded to my father during his 1967 tour in Vietnam. It is one of my favorite photos with my father.